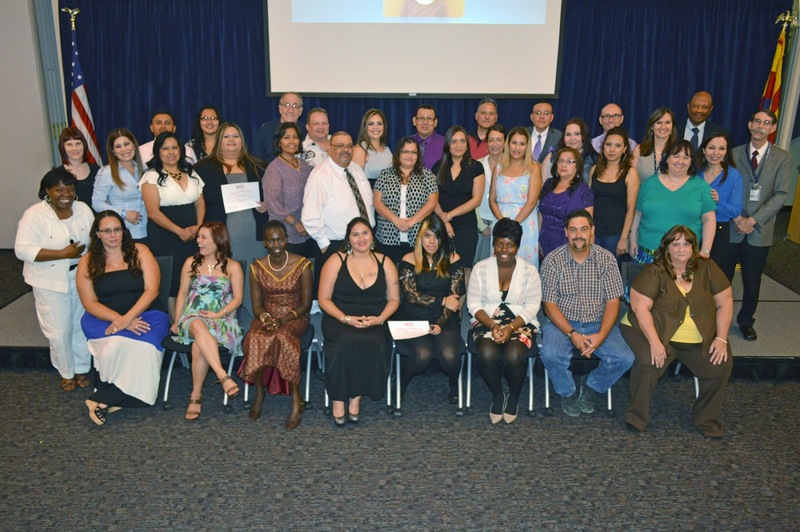 We are pleased to share this Facebook album from Rio Salado’s Adults Achieving a College Education (AACE) Completion Ceremony on June 23 at the Rio Salado Conference Center. This most recent AACE cohort included 47 completers, 37 of whom attended the ceremony with family and friends. Eleven students also received a certificate for leadership, induction into the National Adult Education Honor Society, participation in the statewide I'm in Love with Learning contest and/or selection and training as a student ambassador. Seventeen of the students were specially honored for achieving an Adult ACE GPA of 3.8 and above. 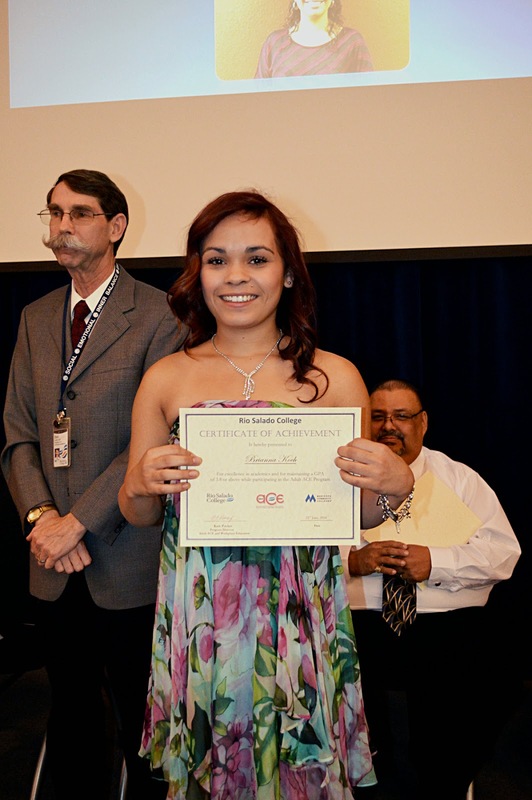 The AACE program offers a unique opportunity for students who want to start college level classes while simultaneously enrolled in Rio Salado College’s High School Equivalency prep program, which provides in-person and online classes and other services for students preparing for the GED® test. The primary objective of AACE is to help students become more confident, improve their college and workplace skills, and lay the foundation for a better future. Classes start each August and January. For more details, call 480-517-8825, email adult.ace@riosalado.edu or visit www.riosalado.edu/ACE.